Deconstructed Cabbage (One of a series of eight). 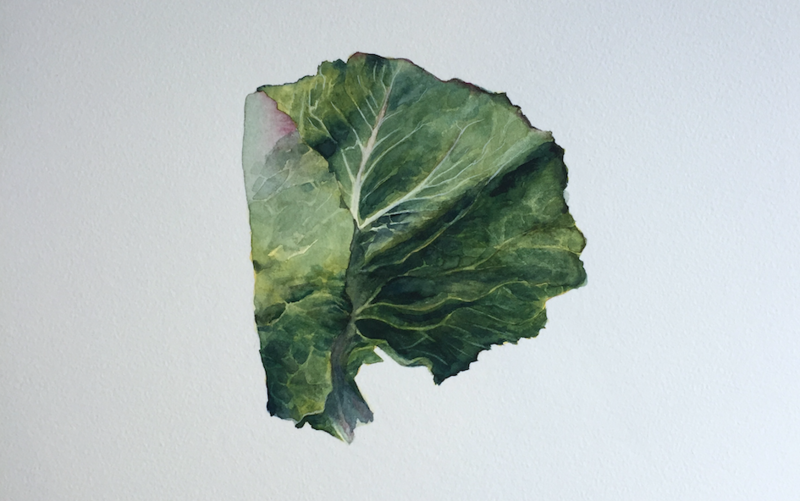 Water extracted from cabbage, watercolour pigment on paper. This and many new watercolours and oils by Jai Redman were recently on show at Manchester Art Gallery in Paradise Lost. The solo exhibition ran from 30th September 2016 for a year.